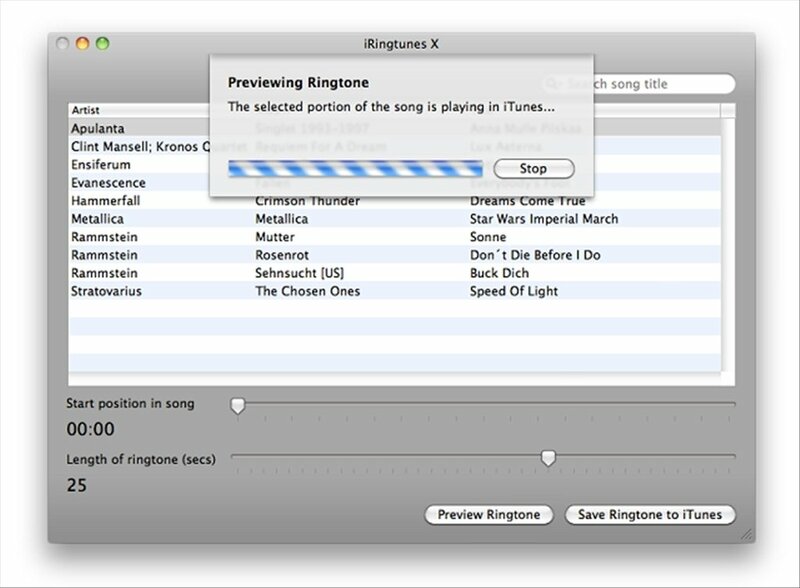 Customize the ringtones of your iPhone with iRingtunes, a simple but effective iPhone ringtone creator for Mac. 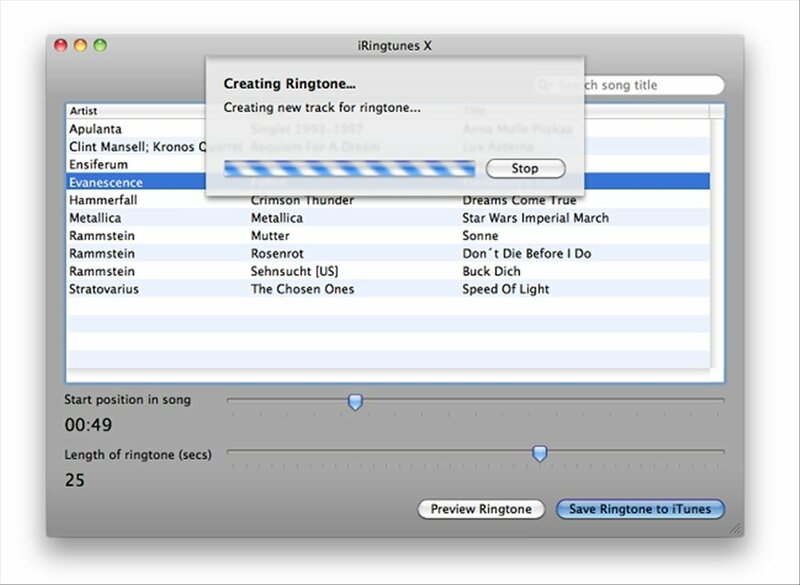 Thanks to iRingtunes X you will be able to create ringtones from your iTunes library. 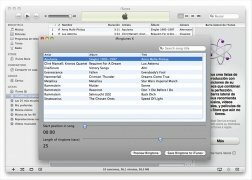 Create ringtones for your iPhone from iTunes songs without protection. 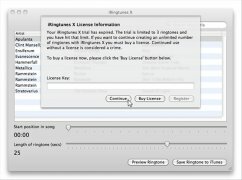 Generate as many ringtones as you want, without limits. 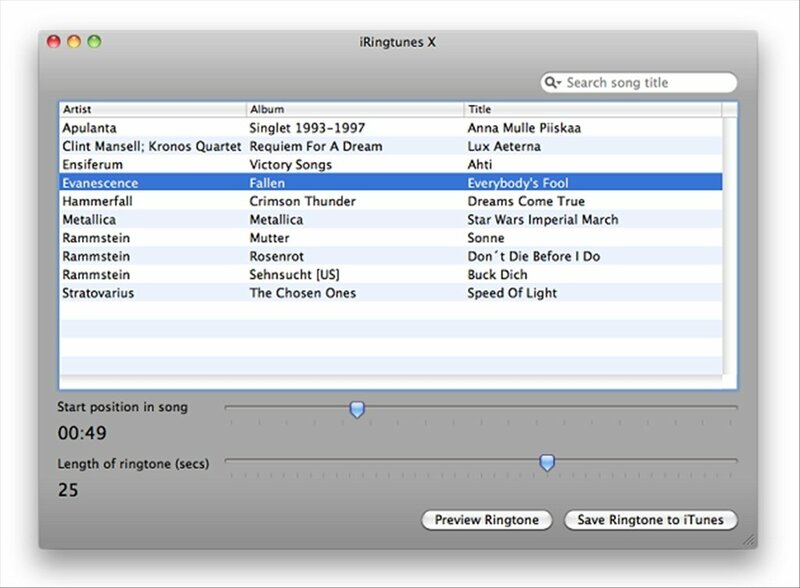 Ringtones can be up to 39 seconds long: choose any part of a song. 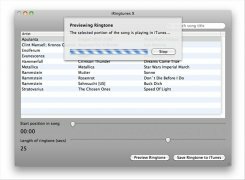 Prelisten to ringtones before exporting. 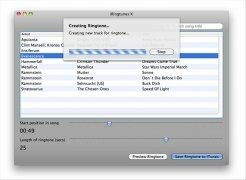 Create ringtones for iPhone with a simple click. 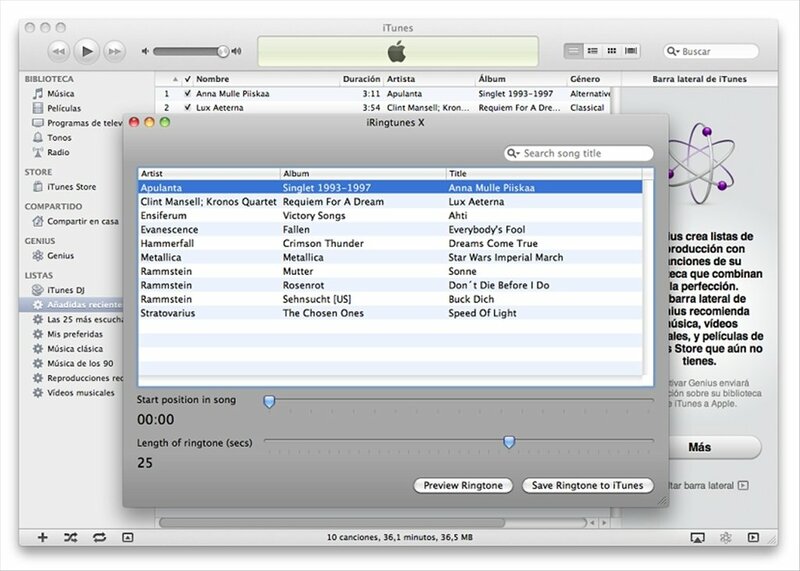 The first thing that iRingtunes does when launched is analyze the whole iTunes library in search of songs that can be used for creating ringtones. Once the list is complete, choose the corresponding song, choose the starting point and the duration of the ringtone with the slider controls, then export your results. 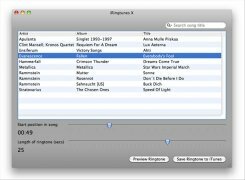 Download iRingtunes for Mac and use songs by your favorite artists as ringtones. Requires Mac OS X 10.5 or higher. 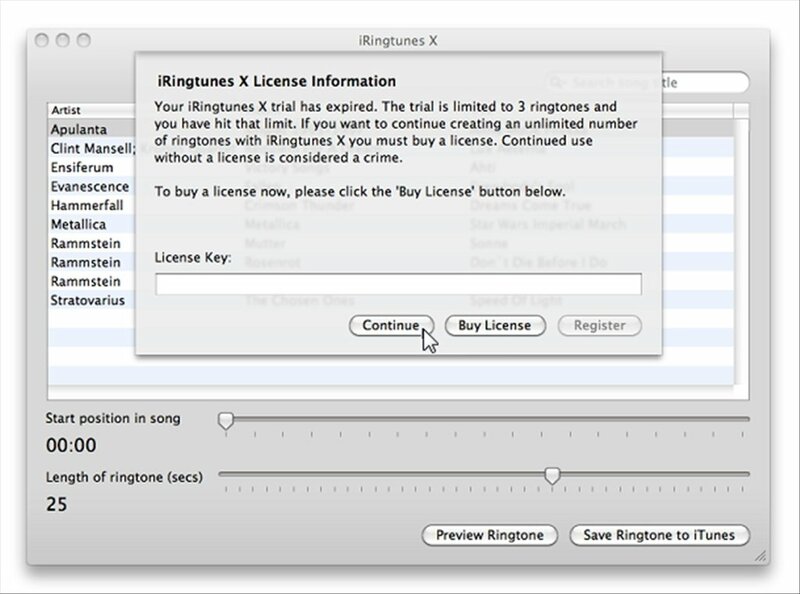 The trial version only allows you to create three ringtones.